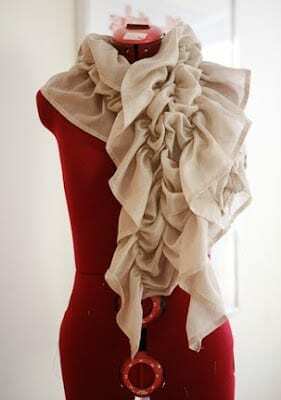 This Catch and Relief Scarf free sewing tutorial is so easy. Add style to your favorite tops by adding this pretty accessory. Excited to make one? Here's the free tutorial for you! Enjoy! If you want to make a Hanging Scarf Organizer, try this FREE Tutorial.